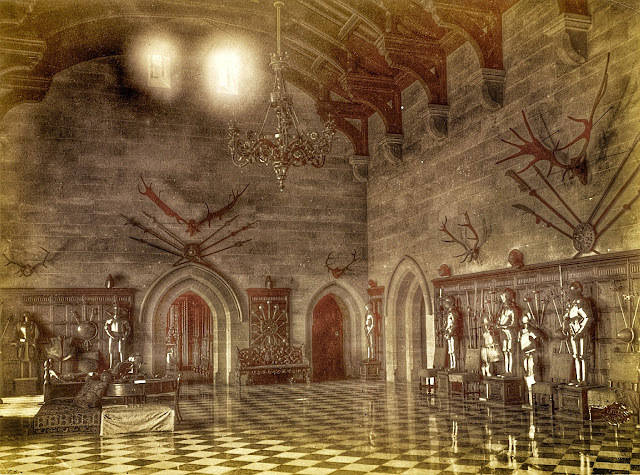 Our old time photo of the week is this inside look at the grand hall of the Warwick Castle. To bad it's not in color, one can only imagine just how truly amazing this castle hall itself is. Below is a video of the castle. It's a short documentary about this amazing place. An adventure to Warwick Castle with the Grandparents!